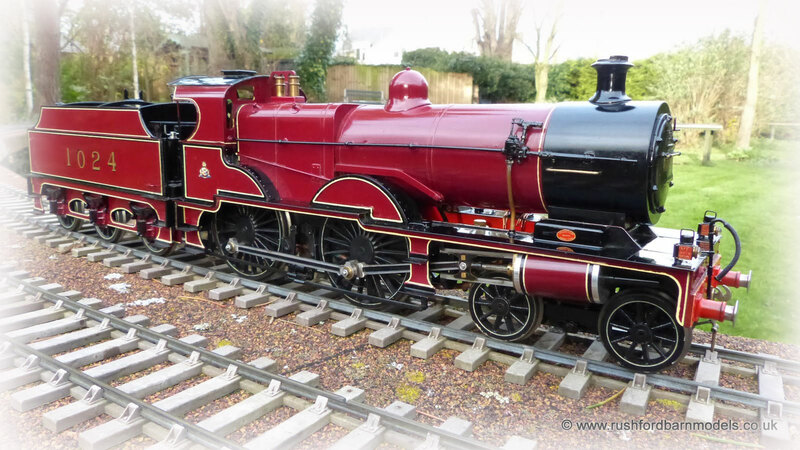 A beautiful live steam Midland Compound built by Norfolk Loco Works and previously sold by us. The Aster Duchess in blue livery. First kit build undergoing test at Rushford Barn. 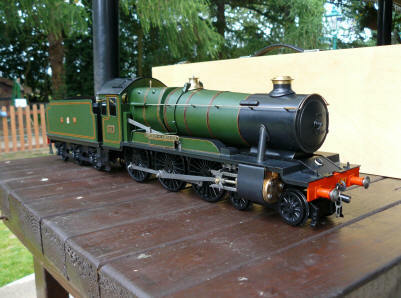 The Aster Standard Class 5MT 4-6-0 mixed traffic locomotive under test at Rushford Barn. See 'News' page for video. Please contact me for more information. June 1st. 2009. Back by popular demand - the return of my famous 'Aster Castle' video! 1. 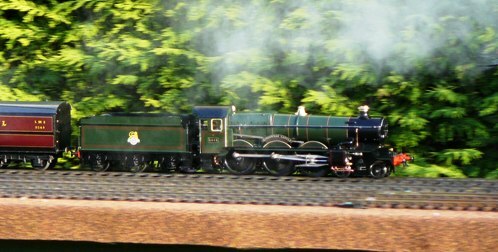 The first completed Aster Castle kit in BR livery as 5015 'Kingswear Castle' pictured undergoing steam tests on a cold sunny January day. 2. 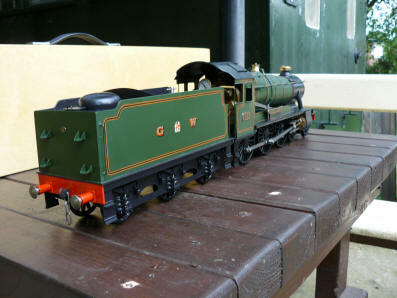 Completed models of the superb Aster BR 9F built to customer specs. Photos above by courtesy of Dave Pinniger. 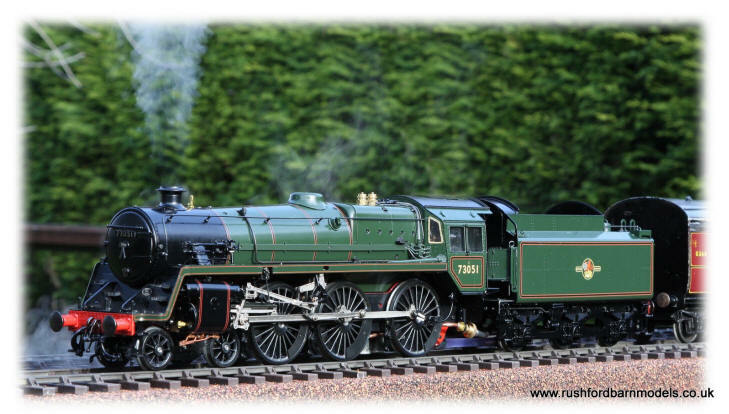 We have built many examples of the superb Aster 'Battle of Britain' / West Country class. 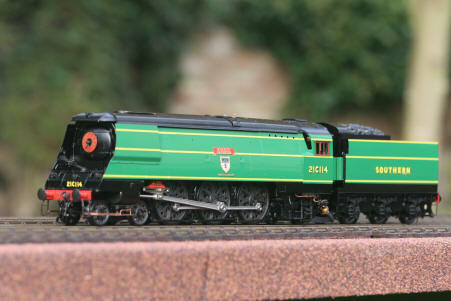 These are excellent 3-cylinder locomotives which capture the look and feel of the prototypes very well. We also occasionally undertake painting and lining of models. 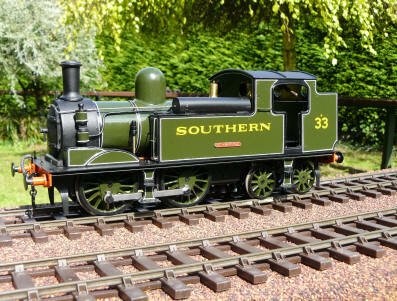 The following pictures are of a live steam Southern O2 class which was finished in Maunsell olive green livery for a customer in the USA. 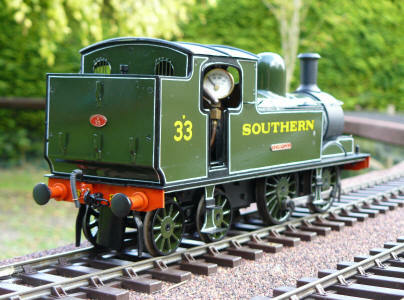 This GWR County 4-6-0 was finished in lined GW green post-war livery.